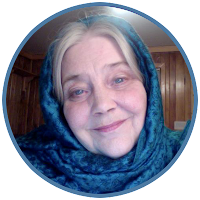 Welcome to a new edition of the Sohbet with a contemporary seeker of the Sufi Path, Barbara Flaherty. Our guest Barbara is a writer, interfaith activist, poet and community member of the Fourth Order. The Mystical statement of the Gospel, "In the beginning was the Word" has become a reality for Barbara as she witnesses deep affinity with words in her life. Her spiritual journey's beginning is entangled with words, strange alphabets and enchanting dreams as well, which continue to visit her regularly. Below is an Interview conducted over email where she shares about her spiritual journey, the visions along the Path, her inspirations and more. May God bless her Path and sanctify her journey to the Supreme Destination. Sohbet or Spiritual conversation, as Kabir Helminski puts it, "Spiritual Conversation is divine light. It brings us close together and melts us in unity." I pray that in this Sohbet, as we read it, we will also be granted a taste of that unity that comes from togetherness with the hearts which are graced in a state of togetherness with the Friend Who is al-Jami, the One Who Gathers all within the Great Heart. Bismillah! Sadiq Alam: What was your process of coming to the Sufi Path? 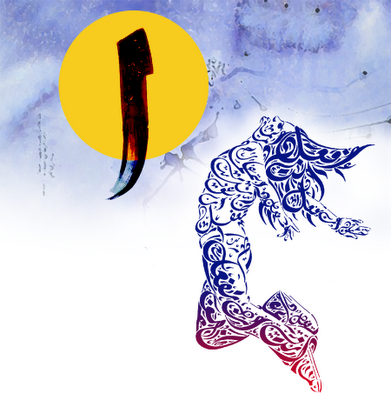 How did you first hear about the Sufis? 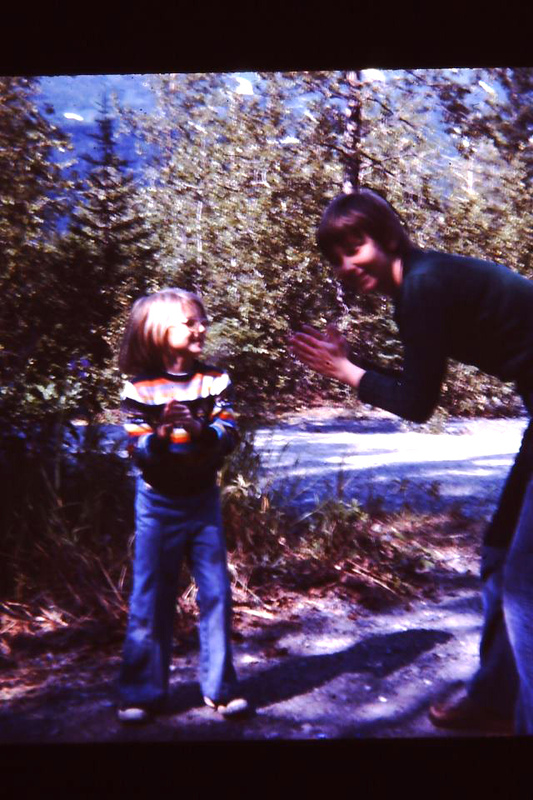 Barbara Flaherty: In the mid- 1980’s I experienced a strangely moving repetitive dream. In the dream I was in a middle eastern city with a group of Muslim men chasing me up fights of stairs. I ran terrified until I reached the rooftop where the men would then disappear, and I would be left looking out over two magnificent incredibly beautiful buildings. I did not know where I was or what the building were. I had absolutely no history or interest in Islam, but this dream repeated for months. One night a guest came to dinner showing us pictures of his trip to Turkey. 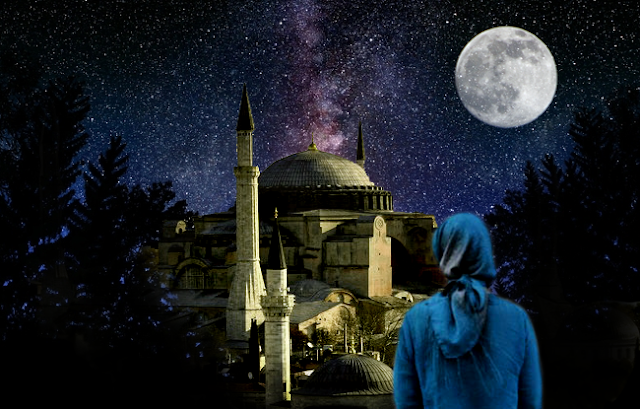 That night he showed me the two buildings of my dream next to one another, the Muslim Blue Mosque and the Christian Hagia Sophia. 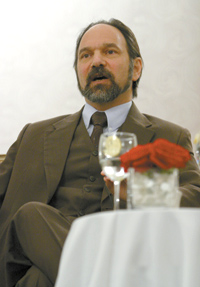 I first encountered Sufism at university in 1989 where my advisor was Robert Frager, Shaykh Ragib of the Jerrahi Order. At his invitation I attended some Dhikrs at the Jerrahi Durga, and was very moved by them. That same year one of my teachers was Neil Douglas Klotz, the founder of the International Network for the Dances of Universal Peace. Both men were very kind and the people I met through them were serious about their Sufi path. I returned to Alaska, my home, with a warm feeling toward Sufism and the practice of Dhikr which I found very powerful and moving. I felt no need to adopt a new religious practice at that time. I was a committed Catholic highly influenced by the spirituality of St Francis of Assisi. In 2007 I went with some other Franciscans to New Mexico to develop an interfaith retreat center and trans-border women’s coopertiva on the Mexican Border. I had absolutely no interest in Sufism at least consciously, but it was there I had a series of disturbing dreams that started to dismantle my inner structures. In the first dream living letters all the alphabets were coming toward me from the heavens. The Arabic letter Alif was the foremost letter with an indescribable beauty and aliveness. In the dream I moved toward it weeping for its beauty. I woke sitting up in bed crying. With that dream the old inner structures of my being began to crumble. In another dream a voice from above asked me, “Do you know you have been given a new name?” “What is it?” I said. 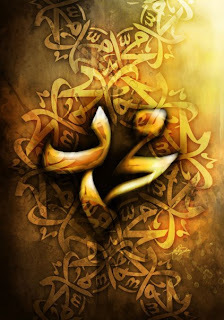 The voice replied, “It is any name God gives you.” It was followed by an inner music when I was awake where I kept hearing men’s and women’s voices in beautiful harmony chanting la illaha ilallah. Other dreams followed and poems that came from a deeper part of me. I thought I was loosing my mind. By the grace of God I met a Sufi woman who introduced me to ‘Abd al-Haqq Godlas through Sufis Without Borders, and my journey began to unfold. Much of that unfolding has been a dismantling of old identities, and the sense of any value in the constructed self, even if that self was given by God. God is ever in the now, and what God wills - He wills. By the constructed self, I mean those identities of culture, religion, sexual roles, gifts and talents. They can be taken away in an instant. The old self will defend itself thinking it is who we are. But God is who we are and is the Supreme Authority in our lives in every moment. The struggle of the nafs is a real struggle as we learn that everything is perishing except His face. And even His face as He reveals His names seems to change and requires that we change as well, and say, YES to His BE in every moment. Am I not your Lord Sustainer, however I present to you? Before coming to the Path, what was your spiritual orientation like? Which teachings / teachers attracted you more? 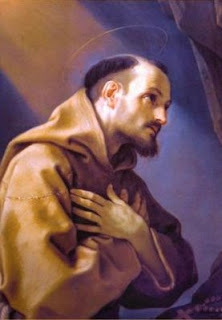 Before this time I followed Jesus through the Franciscan tradition. Francis of Assisi’s way is the way of radical simplicity and complete reliance on God’s grace. He took very seriously Jesus’ words about inner and outer poverty, tending the poor of this world as well, and seeing the whole created universe as a Unity, and its individual manifestations as sacred ayats, the first scripture. I am the founder of an interfaith Franciscan community. ‘Abd al-Haqq Godlas referred me to the Ten Principles of Shaykh Najm al-Dīn al-Kubrā (may God sanctify his inner core). I could not stop reading them for I saw in them the ultimate path of Francis. They drew me like a moth to flame, as they say. I also lived and worked among Native Alaskans for thirty years. I am forever indebted to those elders who taught me an indigenous way of seeing and being spiritually on this earth. What teaching in the Sufi Path attracts the most to your heart and you feel like dedicating all of your life working upon it? The key to this state of naked intent for me is the state of submission, a word that was once repulsive to me as a willful human, but a word that has become a great mercy and a compassion. I have a rebellious heart many times – so what can I say – sometimes I am brought to submission and real gratitude. In those times I feel something of the Truth – al Haqq. I have Peace, and Joy. So even when I want to run I do not, at least not for long, because al-Haqq has touched me – nothing else will ever do. May al- Haqq bring me to its feet, see through my eyes, speak through my tongue, touch with compassion through these hands and heart. I can only say of the Sufi Tavern - this Tavern of Ruin - in moments of drunkenness or sobriety, in clarity or confusion, in sorrow or joy, it is You, You. Thank You. Which practice of the Sufi Path you find very useful for you? Having a teacher is the most important thing for me. On my own I would be lost. My teacher redirects me back to the path when I have fallen into the regular illusions and delusions of life or into the trance of my ego nafs. Right now my practice is very simple, embarrassingly so. I try to maintain salat with consistency, to give zakat, and to guard my inner and outer self. Remembrance, the practice of dhikr, is central, not only in prayer but in greeting all things as living ayats of Him who is the source of all. Keeping the prayer going throughout the day with gratitude for each and every feeling, thought, sensation and experience is the magic potion of spiritual practice. The One who is beyond all is constantly approaching us in both severe and beautiful manifestations, the Beloved revealing Himself both within and without. Gratitude awakes the heart to the living reality of this intimacy with that One. Gratitude also anchors me because the Sufi path in some ways is learning the fine art of not – knowing naked intent, to live in the now as a wayfarer not holding on to or running from. I write poetry to help me see the grace. The first few years I wrote a few lines after ever salat. Now it’s different. As you mentioned that you live in Alaska, how easy or difficult it is for a Sufi in this present world to be living away from a community or other beloveds on the Path? Actually, I lived in Alaska for 30 years. For the past five years I have been a wayfarer of sorts. First, New Mexico for two years where I worked with the Fourth Order of Francis and Clare, an multifaith community of women and men. We restored an old chapel on the Mexican Border and created an interfaith center and also worked in the development women’s cooperatives on both sides of the border. Then I moved to Georgia for two years to study Sufism with Dr Alan Godlas. What a wonderful experience that was for me. The community there is warm and caring, and included Muslim Fulbright scholars from all over the world. I had the opportunity to meet Muslims from Bangladesh, Egypt, Pakistan, Iraq, Indonesia, Turkey, Nigeria, Afghanistan, many of the “Stans.” What an experience. Then I volunteered at an Franciscan Interfaith Retreat Center in Wisconsin and lived in a hermitage without running water in a forest. That was an amazing and rich experience – to live in the silence in a natural sanctuary, the ayats of creation unmistakably present, total simplicity. This was really transformative. During that time I maintained contact with my Shaykh whose baraka does not diminish with the miles I am away from him. 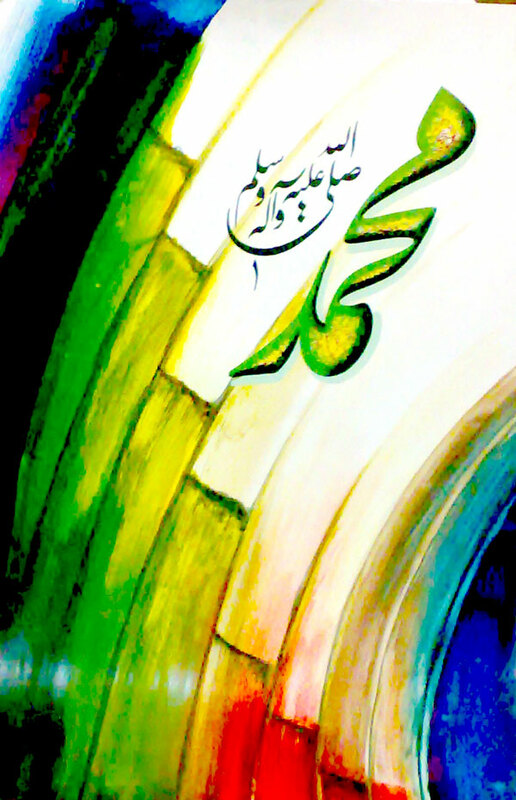 Alhumduliah. He is such a blessing. As we know, and even Qur'an also acknowledge that there is only One Single Religion, the Path of Submission to the Divine which was updated and refreshed in different turns of age by different luminous beings who we know as Prophets, Messengers of God. But unfortunately still in our world, after so much advancement, yet most of us are still caught up in divisions and can hardly see the Unity. 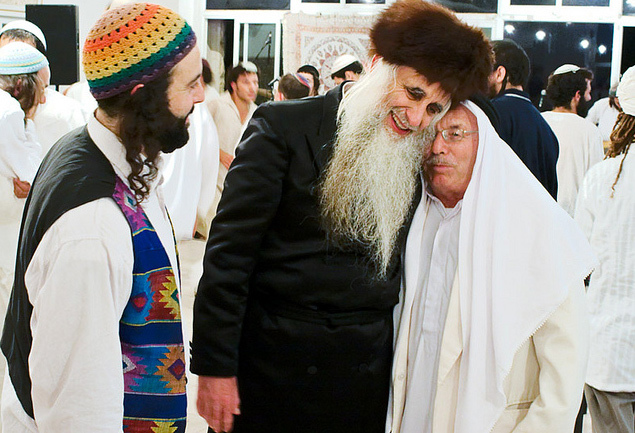 For them, as someone who has been involved in interfaith, what is your message to communicate the Unity of the Paths and that call towards recognizing the Beloved as One? There are sufficient scriptures in the many paths to indicate the Unity of the Paths, and there are other scriptures that speak to separation and exclusiveness in most traditions. This paradox of separation and unity is a gift to us if we choose to have the eyes to see that gift. In Sufism it is a fundamental understanding. I laugh because in these days it is often difficult to have intra-faith discussion let alone interfaith. Such is the state of humanity. Yet, we must make the attempt to embrace the “other” in an affirmation of the Unity and at the same time affirm our unique wisdom in our own tradition. Theological discussions are fine and necessary, but I don’t believe that level of interaction is the essential level. To experience together the common Path of Submission through action, to do together the things we are called to do – this develops real understanding through the power of relationship through the One. Let me give an example. In the Abrahamic faiths God is a God of Justice who requires of his people acts of justice, mercy, compassion, the small kindness. The Hebrew Testament, the Christian Testament, the Qur’an are replete with this. You cannot ignore this if you practice these faiths. You will bump into this requirement of love and justice and respect. Of course, this Divine mandate toward mercy and compassion is not limited to the Abrahamic traditions. It’s everywhere. Most of us are satisfied with a “do no harm” attitude, but this is not the Divine mandate in the three books above. The God of Abraham requires us to be proactive in justice making – to care for the orphan, the sick, the imprisoned, the hungry. To simply wish the hungry person well, is not enough. You have to feed him, or give him a way to feed himself. It’s an engaged spirituality. We can see this plainly in the work of the Jerusalem Peacemakers composed of Muslims, Jews and some Christians in Jerusalem who see what is happening in Israel and Palestine and work together for justice. They call themselves to the highest values of their respective traditions and they call each other to the highest values of his/her tradition. How do they do it? They have gratitude and celebrate together. They sing together, eat together, they get to know one another, and they work together on common projects that seek to create justice. Through all this, something new is created – there is no other – there are only brothers and sisters. The ripple out effect is huge. Their own respective traditions empower them individually, collectively they express the Unity. Eboo Patel sees this mutuality of faith responsibility as the glue of The Interfaith Youth Core. I really support his work. People should check it out or read his book, Acts of Faith. Whenever neighboring Mosques, Church, Synagogues gather together in mutual work to express the mandates of their faith something new is born again through meeting in each other’s houses of worship, or each other’s homes. This could be something as simply supporting sustainable living by cleaning up a neighboring creek or developing a patch of land for a community garden. I could go on and on. This is important work at a time of rising fundamentalism in all faiths which tends to demonize of the other. Islamaphobia is so rampant today in the west because ignorance of Islam and Muslim people permits this. Most westerners have no idea of the strong call in Islam to lead a life of mercy, compassion, respect and justice. They do not know that the Qur’an develops the mutual call to Stewardship of Creation in a powerfully coherent way, perhaps more then any of the Abrahamic scriptures. The Qur’an clearly reveals creation to be an ayat or a book of ayats, a scripture, the first and primary one. To allow creation to be desecrated is on the same level as allowing the Word of God, the Bible or the Qur’an, or the other sacred texts to be desecrated – serious business. By getting to know one another in works of common faith imperatives this ignorance dissolves like sugar in water. We are learning about each other and about God together. We not only experience our own submission to the Divine as we understand from our own tradition, but we are exposed to the submission of others within their tradition. How powerful and beautiful like a field of different wildflowers opening up at the dawn. For me the real interfaith work is living the commonalities of faith together, and empowering others to do that. For someone who might be in the same place like you as you were in early 1980s or close to it, who hears the faith echo of Something, for him or her who begins to hear in the Heart of heart the call of the Beloved. What is your advice to move through this and respond to that call in the most dignified and balanced manner, any practical advice for seekers who feel the pull to the Call of God? O Sadiq, you might be asking the wrong person about dignified and practical! When the Divine breaks through from within it shatters in some way the ego structures. Some shatterings are more tender than others, but there will be confusions. Some people are more gracious about this than others like myself who try to hold on to old patterns causing all sorts of “impractical” and perhaps “undignified” behavior. A spiritual awakening is going to be uncomfortable at times. Personal ideologies and false constructs are challenged. Old identities even if they were given by God at one time will no longer work. Something new is afoot. The Sovereign of All and Lord Sustainer is opening your path in a beautiful way– it’s a sacred path – and its ways are the ways of the Sacred. They say there are as many paths to Allah as there are human beings. Advice? Remain open, let it unfold. Don’t resist or try to force the process. Both of those behaviors are driven by the ego. Be grateful for everything even your ego nafs – all of it is a revelation of the Divine attributes in some way wishing to be known. Pray. Pray for a living teacher, one who carries the wisdom and grace of the teachings passed through the generations from the Prophet onward. Listen to that teacher. The ego will try to “get a handle” on all this. The ego likes to be the boss and not the servant. The Sufi path is the path of the servant – the path of the slave to Divine love. A slave’s dignity rests in his/her Divine Master, not in anything of the self. Many good and well meaning people will want to share about Islam and Sufism or the right way for this and that. Just say thank you and follow your teacher’s guidance on things. Any inspirations that you may like to share? I was a person who lived on inspiration, but as I said earlier, Allah has made me blind and content with the moment. Well, sometimes content! Sometimes suffering with the nafs, and with the longing. He has made me totally dependent on His grace. I would not have it any other way. I do different things. I responded to a general challenge from Dr. Godlas to develop something from western psychology that might be useful to Muslim communities that are under stress. So I did and asked for input. My background includes counseling and community development. It got very little response from people. I could almost hear Allah laughing. Humans plan, but Allah decides. http://hagarsblessing.wordpress.com. I just let it be. Right now I write, not only poetry, but essays for text books and anthologies. I try to use those essays as a platform for God’s love and mercy in this world and within our hearts. I teach part time online for a university. I am still involved with the Fourth Order www.fourthorder.org I mentioned earlier, and resurrecting an interfaith online journal I edited that has been out of circulation for two years while I hermitized. There is something of God that desires to move through us if we get out of the way, and maybe that is what I am learning – a spontaneity of life that just happens. He is the Beauty, the Provider, the Sustainer, the Guider, and the Bringer of Peace. And so many other attributes. Who can know! Some of the issues which are close to Barbara's heart are the plight of women in some Islamic cultures, and also in areas of great poverty and health concerns. She also writes about the 4.5 million Iraqi orphans, issues of people in war zones, PTSD and lack of treatment. The unaddressed spiritual mentorship of the young all over the world is another area which draws her heart's attention. She is also in the process of developing a basic curriculum for new converts of Islam from the position of one who has been there. Barbara Flaherty can be communicated via her Facebook page here. We said, Where is the hiding place? You said, There is no hiding place. with the angel’s speaking presence. His perfect nest of mercy. the Prophet’s heart is so clean. bending low in the wind. of the cells has its own intention. in veils or in desert solitude apart. on eyes, lips, tongue, do not forget the heart. O God, come alive in every cell. I am crying out for this dying. 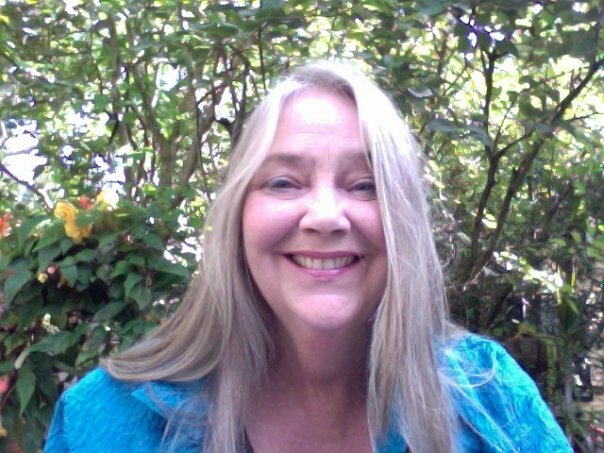 Interview with contemporary Sufi Seeker Barbara Flaherty at Technology of the Heart where she shares about her journey, spiritual visions and few of her poems.